What do Apples have to do with Halloween? There are a few things that make October a pretty special month; it has two holidays and it’s Ambrosia apple harvest time. We shared some ideas on how to incorporate Ambrosia into your Thanksgiving meal a few weeks ago (hint: these tips apply to most holiday meals). Now that we’ve moved on to Halloween – a holiday notorious for candy – you might be thinking there isn’t much of a connection to Ambrosia apples. Actually, apples have been linked to the very origins of Halloween dating as far back as 400 BC. 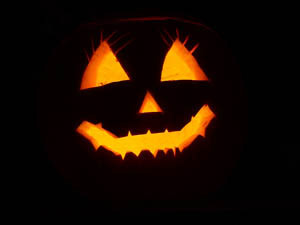 Many historians attribute the creation of Halloween to the Celtic tradition of putting out fruit and nuts for the gods at the change of seasons that happened around the end of October. This offering was also believed to temporarily open the barrier between the living and the dead. As you may have guessed, this is where the custom of dressing up like ghosts and ghouls came from. If it weren’t for those delicious apples distracting the gods, we wouldn’t be dressing up to celebrate the 31st of October. Another old Halloween tradition is bobbing for apples. There are a couple of interesting folktales around this too. One is that apples are a way to connect to the fairy kingdom, as is water. So, bobbing for apples was supposed to greatly increase your chances of meeting a fairy. Bobbing for apples was also used as a way for couples to meet – young women would carve their initials into the apple before dropping it into the barrel of water and wait to see which suitor would bite into theirs. According to the book, The New Book of Apples, there was an old superstition that putting apple peels, pips or a whole apple under the pillow would result in dreams revealing the sleeper’s romantic future. You don’t need a barrel filled with water like the olden days. You can do it in a large tub. Or, if you prefer to keep things dry, you can bob for apples the other way by suspending them from the ceiling or a branch using string. Carving initials in the apple is optional, of course. There are many ways to make your snack tray spooky! You can carve jack-o-lantern faces in your Ambrosia apples, shape vampire teeth in your apple wedges (add a bit of raspberry jam for full effect), decorate your caramel apples in a variety of creepy or colourful ways, or add little candy eyes to your apple rings. Another fun option is to cut Ambrosia apple fruit leather into creepy shapes using Halloween themed cookie cutters. When it comes to quenching your party-goers thirst, why not try floating some Ambrosia apple eyeballs in cranberry juice? Use a small melon-baller to create apple balls then carve a small hole just big enough to wedge a raisin into it. If it’s an adult party, these eyeballs work in sangria or punch. For the more artistic, carve a witches finger out of an Ambrosia apple wedge and leave the skin on where the nail would be.